The THREAD Virtual Research Platform was purpose-built to not only collect study data during and in between visits — but also in lieu of them. Our single and dual-signature eConsent solution is standard in every project and is a fraction of the cost of other market solutions that require independent, customized setup and implementation for each study. 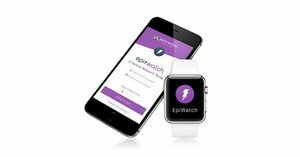 An ePRO library to utilize digitally validated and licensed assessments within each iOS and Android participant app. Enable your participants and sites to hold telehealth sessions together to conduct Virtual Visits, capture data, and increase low-friction engagement. Enable your sites to capture data on-site, remotely or during telehealth Virtual Visits. Enable role-based team members to review, query, verify, approve, and sign-off to produce quality data. Enable clinical research sites, virtual investigators, and home health services to provide oversight on remotely captured data, complete case report forms, and conduct Virtual Visits. Benefit from continual access to study data: extract key insights, query data, and observe study performance in real time. THREAD can also enable secure data transfer and integration with existing data systems. Our platform includes prebuilt integrations; utilizing a simple user experience to connect hundreds of wearables, medical devices, and health apps for use in research studies. In addition to basic reminders and notifications, include data dashboards for the participants to track their progress, provide ongoing training and content, and access to study-specific documents and information. When non-validated surveys, daily diaries, and medication confirmations are needed, THREAD’s survey builder allows teams to create them, include branching logic and survey templates for organizational use. Confirm participant identity with three (3) approaches of identity verification via the Patient Web, Patient App, and Virtual Visits. Ready to replace some clinic visits with Virtual Visits? Given the complexity of clinical research, it is important for study teams to progress carefully as they move toward virtual trials. Before moving to virtual approaches, study teams often begin collecting data from patients and sites remotely, between scheduled clinic visits. When the study team is comfortable and a specific study protocol fits the criteria, the study team can begin to replace the patient’s on-site clinic visits with Virtual Visits. A Virtual Visit is where the investigator and the study participant meet via telehealth video chat on a laptop or mobile device. During a Virtual Visit, the investigator is able to observe the patient during a telehealth video call, instruct the patient to complete assessments, and record their observations directly into the eSource Form within the THREAD platform. THREAD can help you identify which on-site clinic visits may be the best candidates to be replaced by a Virtual Visit. Which remote patient research approach is your organization comfortable with? We can help with that — and your next step forward. Setting up your study is likely more simple than you're expecting. Our proprietary platform provides all the elements you need to design, launch and manage your remote patient study. This will enable patient generated data to be collected between or in lieu of clinic visits. The easy-to-use configurator guides you through each step. Enable patients to complete study activities and tasks right on their phone from the comfort of their own home. This allows for fewer clinical visits and low-friction engagement. The THREAD platform provides a clinical trial experience that is truly patient-centric. Our Research Site Portal enables your studies' investigators and site staff to provide proper oversight for their study participants. Easily access real-time, de-identified participant data and remote study progress metrics anytime you need it via the Sponsor Portal. It all starts here. We have the expertise and experience to guide you through creating your remote patient study utilizing our platform and LaunchKit. Our equal understanding of the traditional clinical research process as well as the emerging best practices of remote patient research allows us to effectively translate your study into a relevant remote study approach. THREAD LaunchKit will guide your team to understand, implement and adopt remote research approaches and the platform to achieve your studies' goals. Let THREAD provide your team with tools and templates to support the operational processes required in remote research approaches.